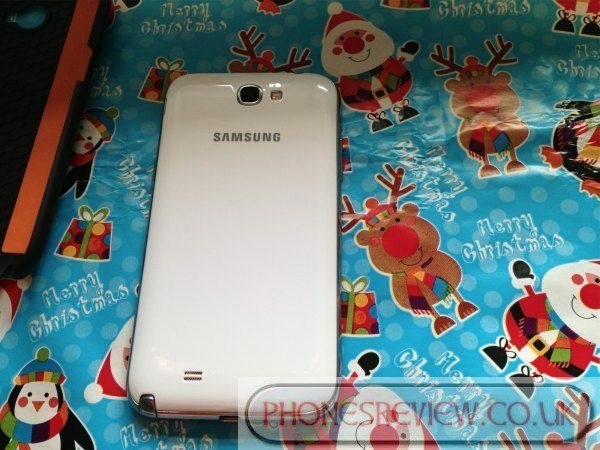 One of the most popular smartphones on the market at the moment is the Samsung Galaxy Note 2, and we can see these being sold more than ever come the Christmas period. 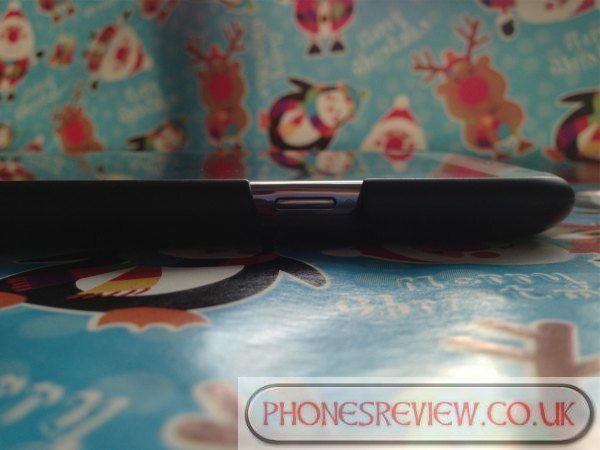 We love all sorts of mobile phone accessories especially when it comes to protecting our beloved handset without adding bulk to the factor, this is where we would like to give you our hands-on review of the Samsung Galaxy Note 2 Impact case with cover via Tech21. 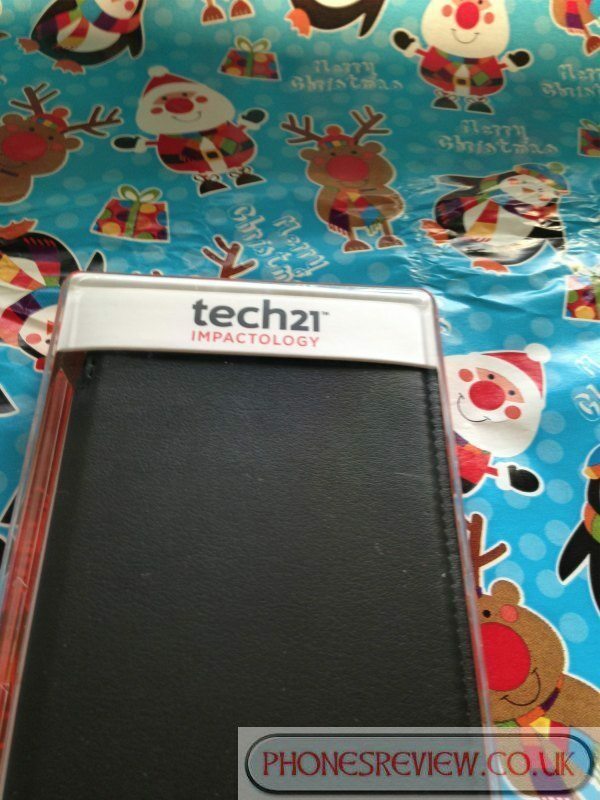 It already sounds good when you say “Impact Snap Case with Cover and Impactology”, Tech21 sent us the black model, which we have taken photos off for your pleasure, hope you like them. 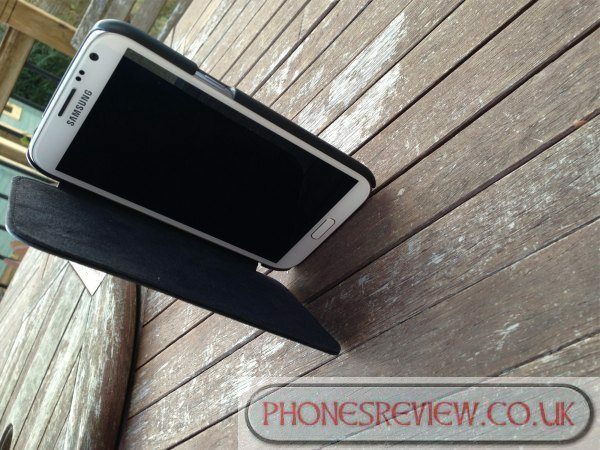 We will give you our Samsung Galaxy Note 2 Impact Snap Case with Cover review, we will let you know what we think and if it is worth buying. 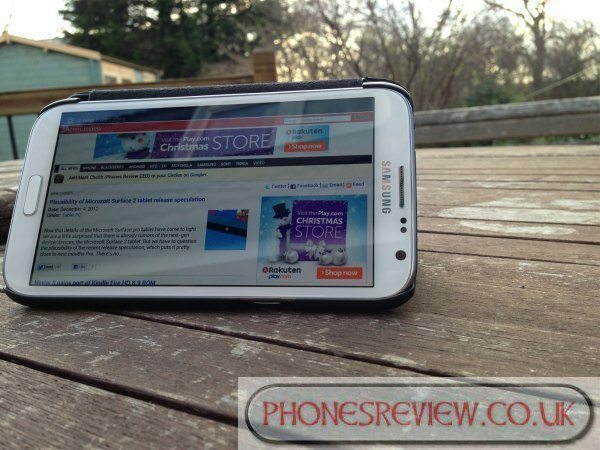 Please do read on and see if this is the case for your Galaxy Note 2. 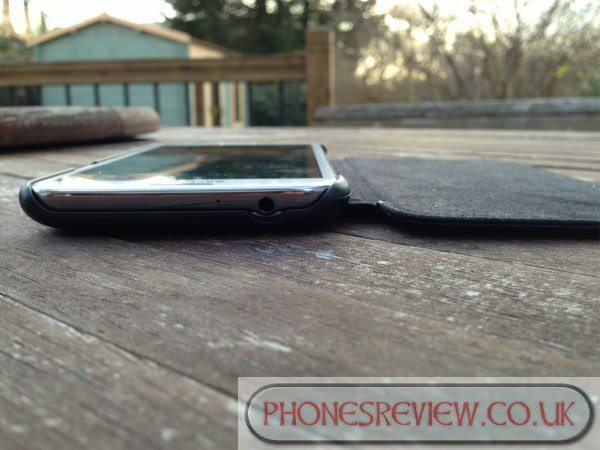 To keep this intro brief the Impact Snap case with Cover will offer the ultimate protection for your Galaxy Note 2, well that is what is said over on Tech21. It comes with the new integrated patented D3O Impactology; the handset will be protected both front and back. Stunning, obviously we cannot leave the first impressions at that with only one word so we will elaborate; the packaging the case comes in is not your normal cardboard box but a hard plastic casing that looks stylish. On the eye candy side of things the whole package and case inside looks and here is the word again “Stunning”, so first impressions are very good indeed. 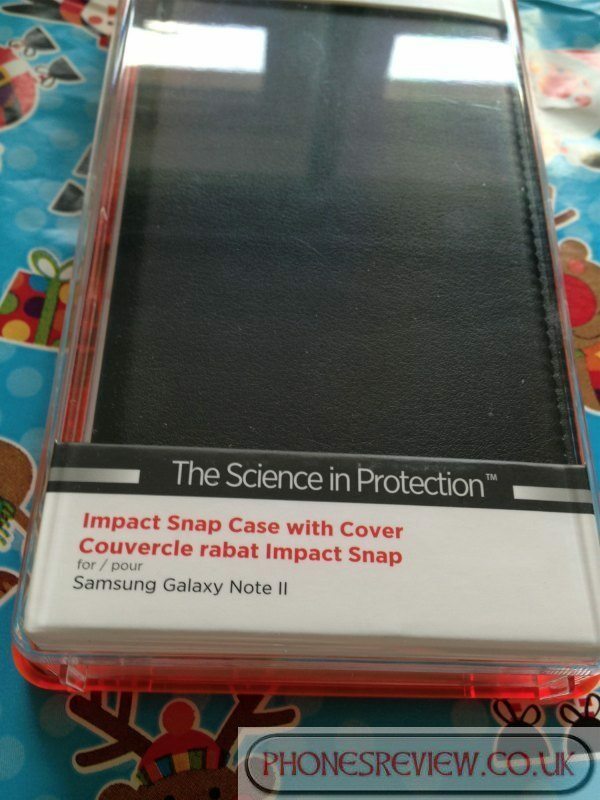 Once we got the Samsung Galaxy Note 2 Impact Snap Case with Cover out and into our hands we was very happy with the look and the feel, so far so good as they say, can this continue down the “We like it path”. The design in our eyes is flawless and trust us when we say “If we did not like it we would let you know”, we do not beat around the bush hunting for good and bad things to say, we say it how it is. 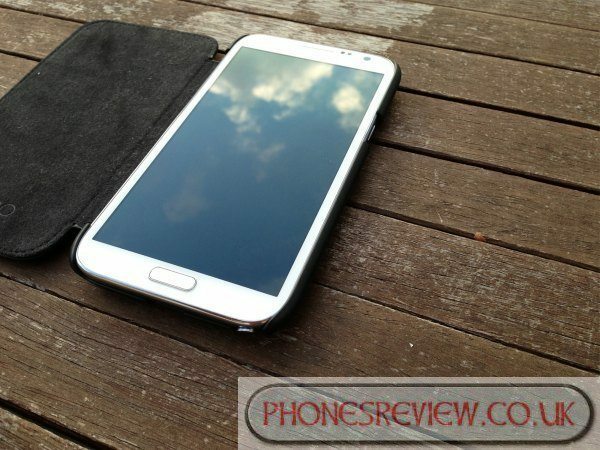 The case itself looks minimalistic and does not add that extra thickness that none of us likes to add to the Samsung Galaxy Note 2. Inside the case you will notice orange strips (Look at photos above and below) and it is these that provide the high-impact protection called ‘D3O’, so now your asking yourself “What is D30 then?” this is a patented protective material that has been developed using chemistry and engineering, so in a nutshell this provides high performance shock absorption and impact protection solutions. 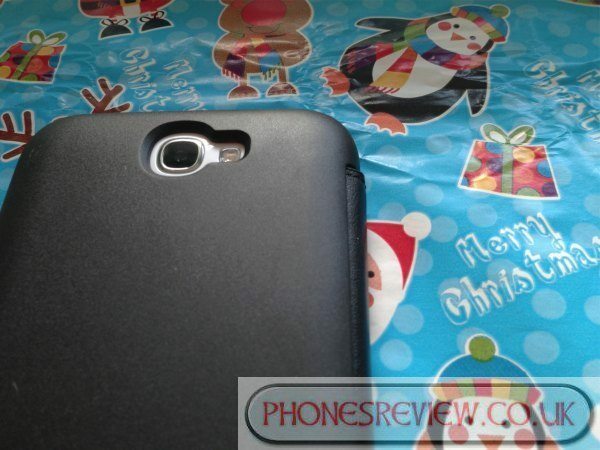 The Black Samsung Galaxy Note 2 Impact Snap Case with Cover key features include a secure fit for the 5.5-inch phablet, it comes with a revolutionary snap and easy to clip in design, you will get full access to all buttons, camera and stylus etc, the front of the screen is always covered when not using the phone and it has a speaker grill for optimum sound quality, and we love the fact that the case has been built with reinforced polycarbonate. 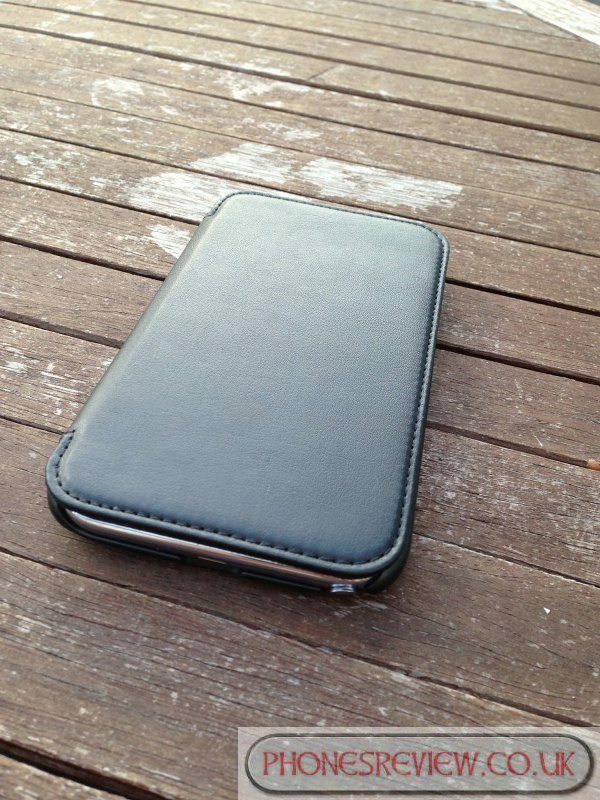 The case itself weighs only 28 grams and its size is 151mm(h) x 84mm(w) x 13mm(d). 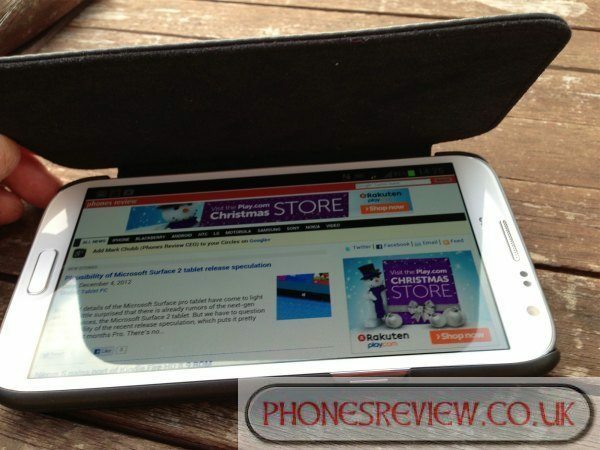 The pros here include the styling, the Samsung Galaxy Note 2 Case Impact Snap with cover looks great on the eye, it is slim enough not to add that extra bulk in your pocket, the handset come tablet is big enough as it is and some cases just make it much bigger than it already is, this one provides style in our eyes. We are stupid to have even done this, but we decided to place our Galaxy Note 2 in the Impact case Tech21 sent us and dropped it from shoulder height (5ft 8-inches) and prayed the phone would not break, and after we did this test the Note 2 survived without a dent or crack (Please DO NOT try this for fun) we did it so you don’t have to. 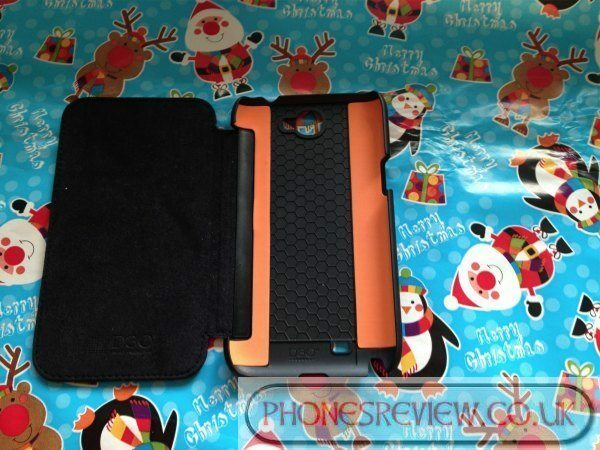 It will not protect your Galaxy Note 2 like those bulky ones from Otterbox but it does the job, this case looks better than the hard rugged big and bulky ones and does provide good protection against scratches and can sustain drops and bangs. Other than that we cannot see any negatives other than the Black Version being out of stock over on Tech21. Would we buy one? Well no is the answer because we already have one, so we will rearticulate the question – Should you buy one? We say yes because they look good, come with a reasonable price tag and protects a very expensive and glorious Galaxy Note 2. The D3O material may look like an orange strip on the case but the technology behind it is impressive, the raw state flows freely when moved slowly but soon as you drop it upon impact the material locks together to absorb and disperse energy and then returns back to its normal state. 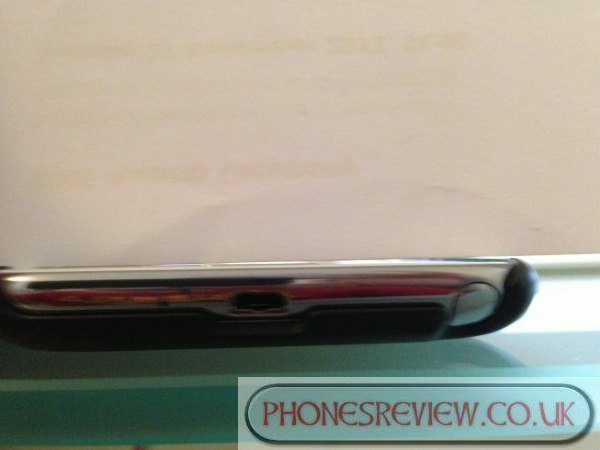 Personally we cannot see this being as impressive with a thicker piece of this material, the case only has thin strips but yet still did not break the Galaxy Note 2 when we dropped ours. Please do look at the last photo (Scroll down to the last photo at the bottom), the reason we say look at this photo is because we put a straight piece of cardboard across the case to see if there is a gap in between the case and the front screen. 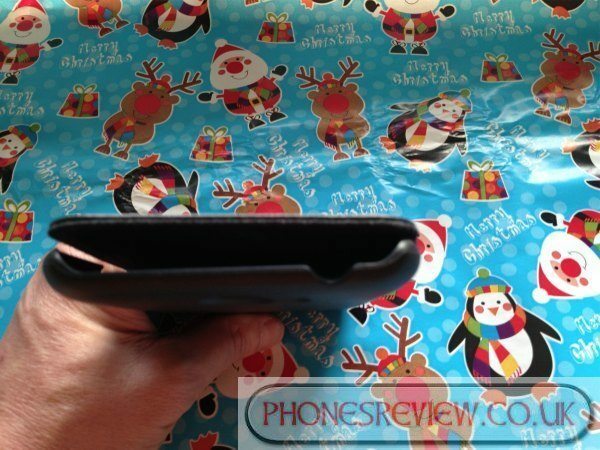 We tested this because we wanted to know if the Galaxy Note 2 is in the case and laid screen side down “Will the display hit the surface?” The answer is not totally, there is about a 1mm gap, which in our mind is not a lot but then this has a cover on it so why would you face the phone screen down without closing the front cover. 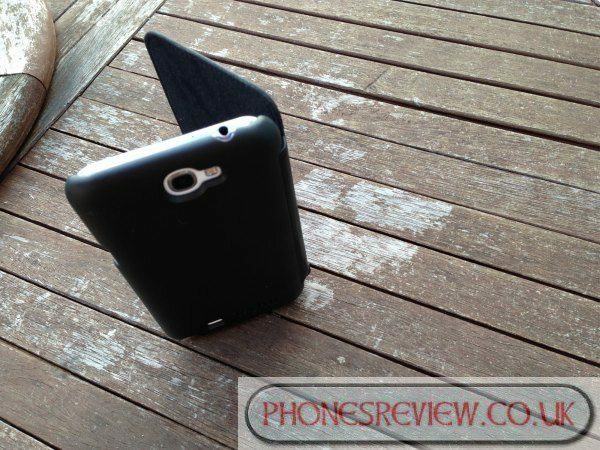 We would have to give the Samsung Galaxy Note 2 Impactology technology Snap Case with Cover an 8 out of 10. We have based this rating on cases only and not all products we review, so in the world of cases this gets a cool 8. 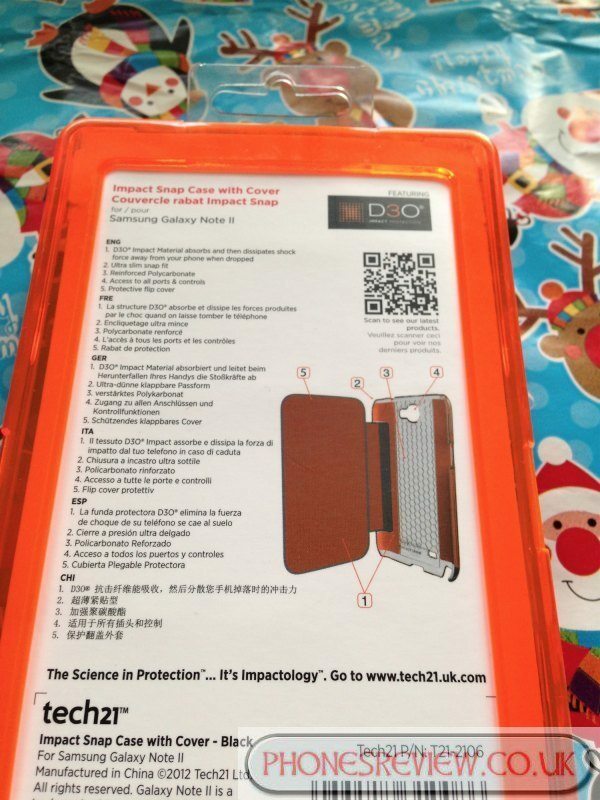 If you are interested in the Galaxy Note 2 Impact case with cover please visit Tech21, they are selling these for Â£34.99, at the moment the black is out of stock so if you want one that badly you will have to opt for the white version. Please do take a look at all the hands-on photos below; we have also added a little video clip for you as well. I think I’ll just wait on otterbox. 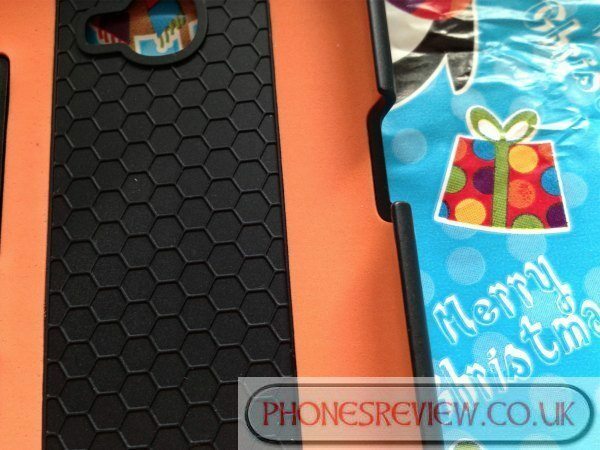 does the case have NFC like the original battery cover? Who wrote this garbage? I’ve seen junior high school writing that’s better than this! I hope the writer isn’t getting paid for churning out such a poorly-written article! 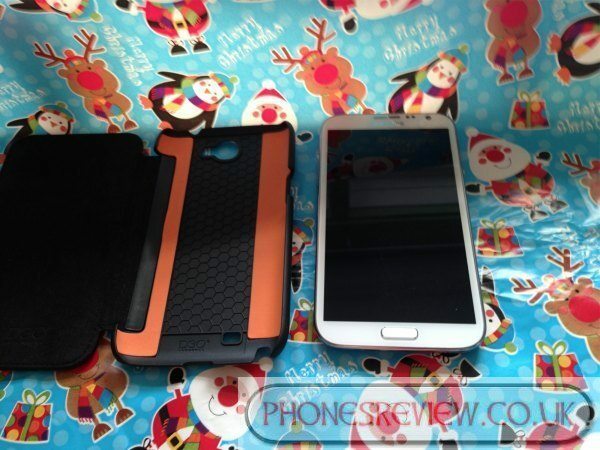 Why not Survivor Case for SAMSUNG Galaxy Note2 on theideasforgift store online ?